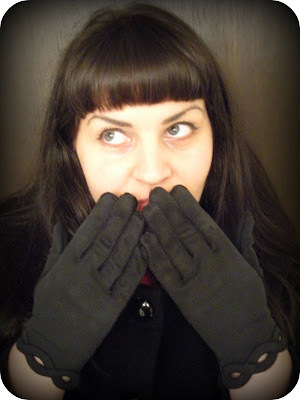 I bought some gloves the other day. It's been cold, I needed them. I came home and realized that they were overpriced and mediocre. 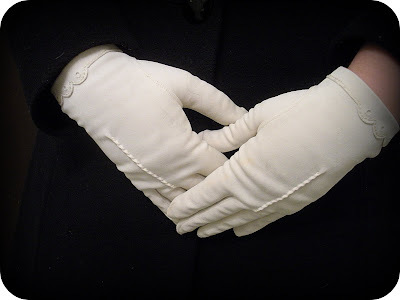 The next day I found these pretty gloves at an estate sale and I'm in LOVE with them. I took the overpriced gloves back. Then my in-laws gave me these gloves. They were Daniels' Grandmother's. I have another blog that is private (Fritzi Wishes) and it is a place where I put all of my wishes. It's kind of like an inspiration board. I blog about the things I would love to have. 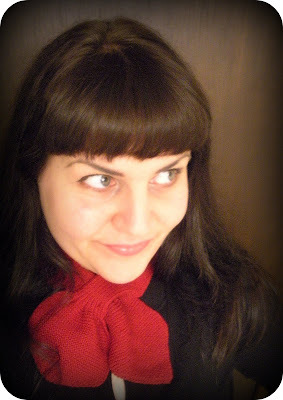 Anyhow, I wished for one of these scarfs a while back. Today, I found one on a shelf at the thrift store for 69 cents. you look stunning! i've got a pair of fuschia gloves that look almost like your black ones. and that scarf...to die for. to wishes. and to a much prettier 2010! I remember those gloves very well. I'm so glad you have them. I know my grandmother would love that you have them too. Cute scarf---amazing price.